Route-wide mitigation strategies designed as well as site-specific scopes of work. 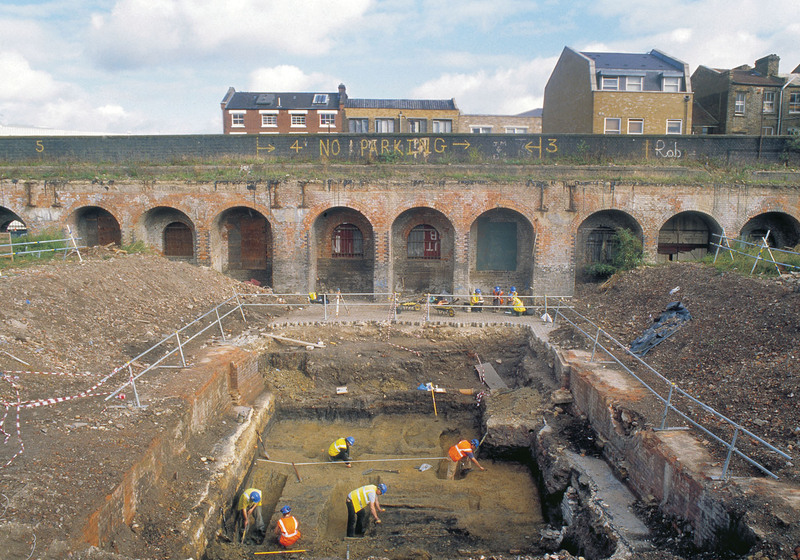 MOLA undertook a major programme of archaeological investigation and recording (of both built and buried heritage assets), ahead of the construction of the London Overground East London Line Project (ELLP). Archaeological investigation began with a desk-based assessment of the entire route and preliminary work on site including test pitting and geoarchaeological modelling, to define key heritage areas and impacts of the route. Evaluation trenches then confirmed the presence or otherwise of significant archaeological deposits across the route and these helped MOLA to design route-wide strategies as well as detailed site-specific scopes of work for key sites. 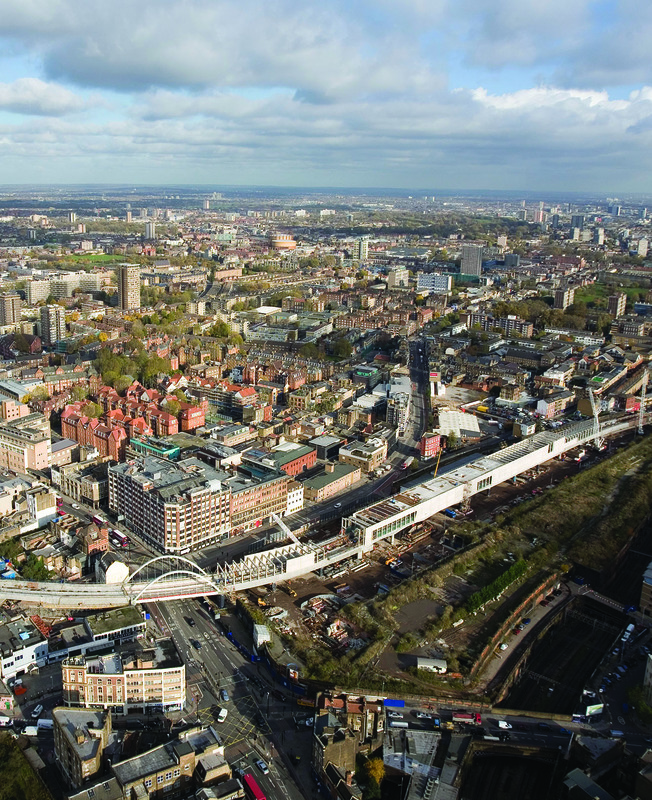 The main mitigation works included targeted excavations and an extensive programme of built heritage recording including the Grade II Listed Braithwaite Viaduct, parts of Brunel’s Thames Tunnel at Wapping and the Victorian Crystal Palace station. MOLA also carried out a heritage audit, studying each station on the existing line, summarising its history and the development of the station buildings. This involved carrying out recording on various underground stations whilst still in operation, in accordance with London Underground’s safe working practices. MOLA also worked with TfL to offer an engagement programme to the East London communities affected by construction of the railway. This included a social history project embracing several of the established businesses and occupants and we also worked with the client’s marketing company to promote the scheme; including talks, leaflets, posters and the creation of an interactive travelling exhibition. In addition to two academic monographs and series of specialist articles, MOLA also produced a popular publication ‘Tracks Through Time’.